With hundreds of reports to choose from it is important to find the right one to suit your requirements. 2 What information are you trying to find? What information are you trying to find? Before generating a Report it is important to reflect on the purpose of the report as you can achieve many different outcomes. There are several ways in which you can search within Reports to find the most suited. You can search by Report Category. 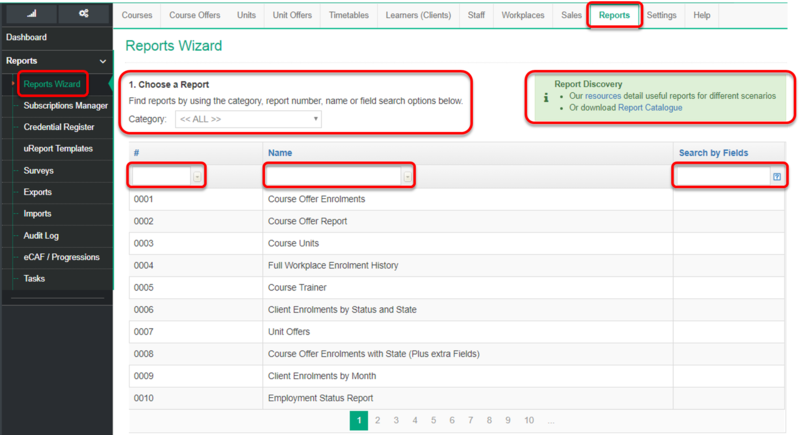 Report Categories are a way of grouping or classifying various reports that generate similar information. Or Search by Number or Name in the next Step. This method is to be used if you already know the Report Number you need. In Column 3 enter the field/s that you wish to be returned in a Report separated by a comma into the Search by Fields , i.e. if you wanted to search for unit code, refexport, workplace. 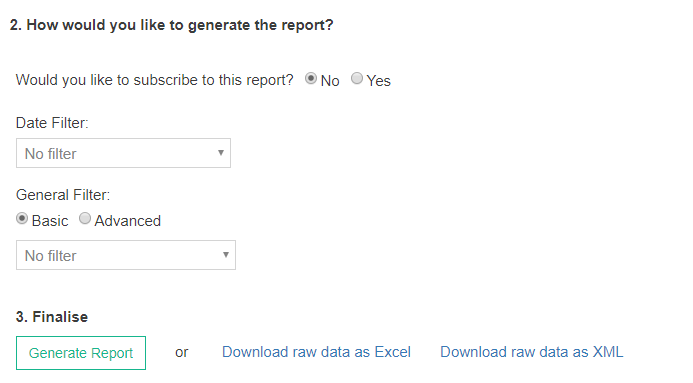 If you are still not sure if this report contains the correct information you require, you can check this in Step 2, Date and General Filter section. In Step 2, click on the drop down boxes for Date and General Filters.